What are the Tax Benefits of a Flexible Spending Account? 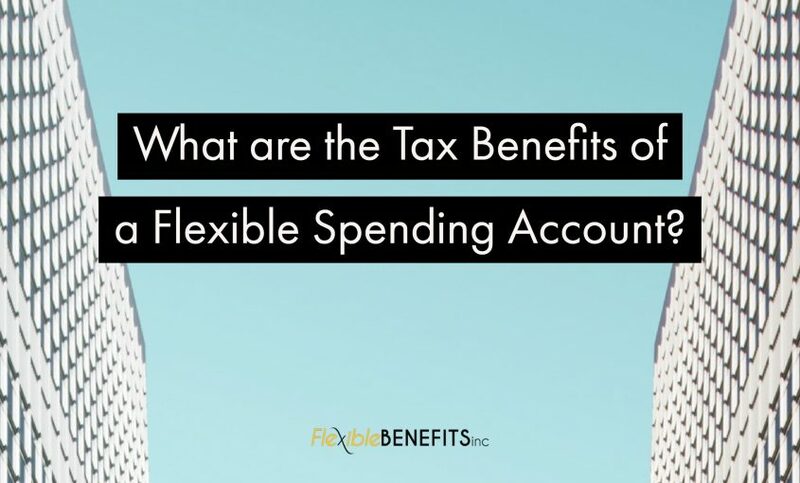 – Flexible Benefits Inc.
Home » Blog » What are the Tax Benefits of a Flexible Spending Account? No one enjoys paying taxes! According to a study, more than half of Americans believe that the taxes they are paying are too high. Surprisingly enough, many people are not utilizing simple tax-saving tools that could easily help to lower their tax bills. One of those tools, in particular, is a flexible spending account. A flexible spending account is a special account that you can put money into that you use to pay for certain out-of-pocket health care costs. This is money you don’t pay taxes on, which means you will save an amount equal to the taxes you would have paid on the money you set aside. Flexible spending accounts also have tax benefits, continue reading to find out more. – Health flexible spending account, which lets you set aside pre-tax money for medical expenses. – Limited FSA, which covers your dental and vision medical expenses. People who have a limited flexible spending account typically already have an HSA that helps cover medical expenses. – Dependent Care FSA’s/Dependent Care Assistant Programs (DCAP) can be offered by an employer to help pay for cost on your dependents daycare or after-school care expenses for qualified dependents. Both you and your employer can contribute to a dependent care flexible spending account. Since the money used to fund your flexible spending account is pre-tax taken from your paycheck before your taxes are deducted, you are saving whatever percentage you would have paid on that money in federal taxes. For instance, if you earn $50,000 a year and sign up for a flexible spending account contributing $2,000 and your tax rate is 30%, you would have a $600 benefit. Plus, there are no reporting requirements on your taxes since your flexible spending account is tax-deferred through an employer. Who doesn’t enjoy getting TAX FREE money? Your flexible spending account can be used for non-prescription FSA approved items, such as bandages, sunscreen, and lip balm, just to name a few. You can find a full list of approved FSA items here at www.fsastore.com. If your company offers a flexible spending account, we highly recommend you utilize this account if you aren’t already. Not only will it help you in case of medical emergencies, but your hard-earned money goes into the account tax-free. If you have any questions regarding business employee benefits, Flexible Benefits, Inc. is here to answer them. Give us a call today and let us show you what using this great benefit can do for you and your staff. Contact us at (251) 237-1115 or toll-free at 1-888-821-9007.